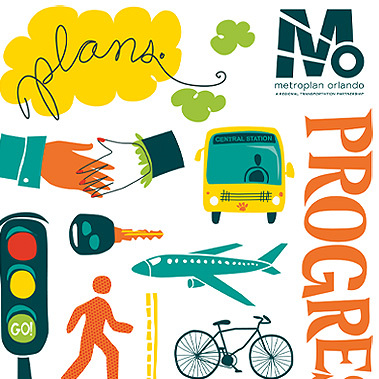 MetroPlan Orlando produces annual reports to summarize accomplishments of the past year and look to key issues for the future. In years where we update the Long Range Transportation Plan, the executive summary for the plan serves as our annual report. Signing up to receive news about what we’re doing at MetroPlan Orlando – including release of our annual reports – is easy. Just provide your email address below to join our mailing list. Programs and processes are important, but people make an organization special. They bring essential intangibles like leadership and creativity, and they know how to effectively adapt to change. In 2018, we began the next chapter of leadership in MetroPlan Orlando’s story with a new executive director. More will change in the years ahead, but we’ll always be Powered by People – delivering excellence in planning, a regional forum to foster partnerships, and a willingness to work toward the region’s transportation vision. Many things change in 20 years -- but not MetroPlan Orlando's commitment to regional transportation. 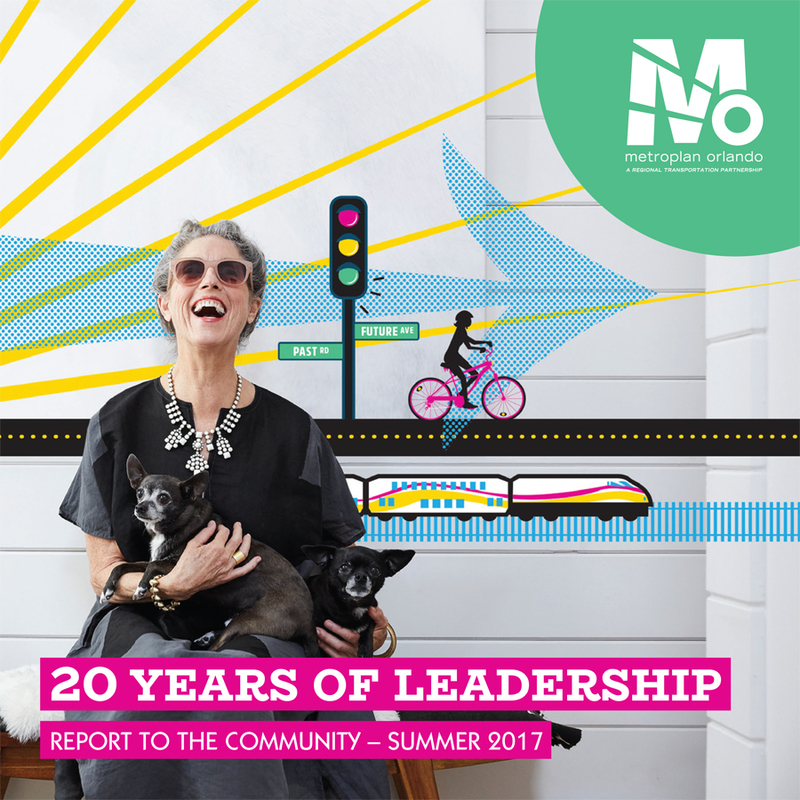 In our 2017 Annual Report, we're marking 20 years as an independent organization and highlighting two decades of accomplishment and continuing our promise to provide transportation options for Central Florida. This year's report also includes a timeline of transportation events, with an online version available under Timeline in the About Us section of our website. 2016 - Plans. Progress. Action. 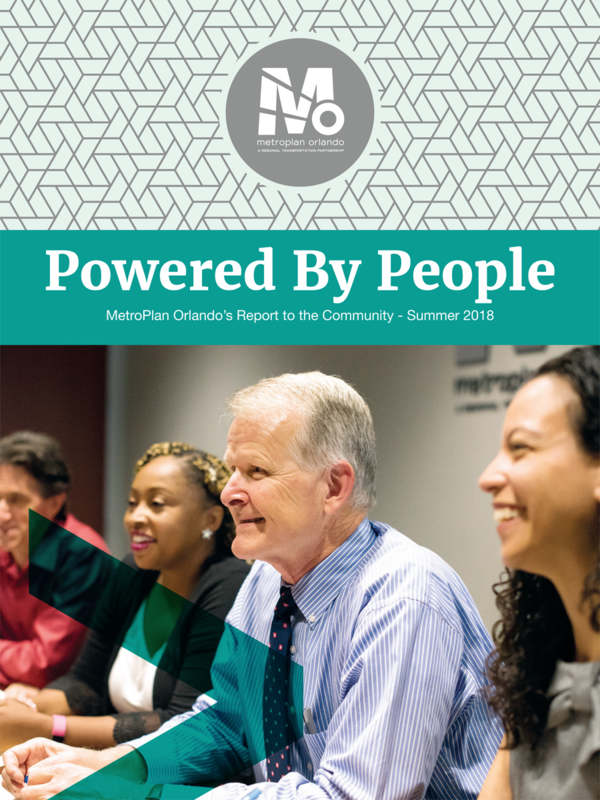 MetroPlan Orlando celebrates the power of partnerships in its 2016 Report to the Community - Plans. Progress. Action. The report describes work under way on the region's varied modes of transportation, as well as what's in store for the future. Elected officials, planners, engineers and community representatives collaborate to provide direction for these projects. Check out our report to learn more about how Central Florida's transportation system comes together. 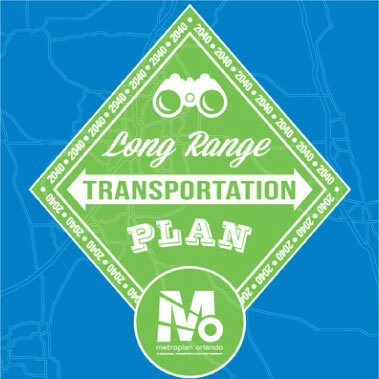 In 2014, the Long Range Transportation Plan for the year 2040 was unanimously approved, called Blueprint 2040. The plan includes a $15.1 billion investment of federal, state and local dollars. About half those funds will be spent on transit and half on roads. The executive summary gives an overview of the plan, which includes projects from across the transportation spectrum. To view annual reports from previous years, please visit our annual report archives. Leading regional planning efforts to create a balanced transportation system in Central Florida that will enrich quality of life for our residents and visitors.